Western Washington University is one of 24 institutions in the country selected by the Howard Hughes Medical Institute’s Inclusive Excellence Program to receive a five year, $1 million grant to enhance student success in STEM fields, especially those students typically under-represented in the natural sciences. The award to WWU was the result of a national-level competition, with a pool of more than 500 applicants from competing institutions, and is the only grant awarded to an institution in the Pacific Northwest. Under-represented minority students, female students, and first-generation students in the natural sciences have lower success rates than university averages, and to address this problem, the HHMI IE team at Western, led by Biology Professor Emerita Joann Otto, proposed a multi-faceted approach to address this issue. Students will be in linked courses and in cohorts in an effort to better prepare students for navigating college, understanding and using scientific practices, and building quantitative reasoning skills specific to the natural sciences. In addition, mentoring will be built into this cohort structure to support students in reaching their goals. Along with these activities, the team will analyze policies and procedures to identify and improve issues that may impede the progress of students. “All of our strategies are designed to be sustainable so they will continue after the five years of grant support are over. Ultimately, we anticipate the demographics of majors graduating in the natural sciences will mirror those of the university and our community as a whole,” Otto said. "Putting together a complex, multi-faceted proposal requires a hard-working team with people with expertise in a variety of subjects. 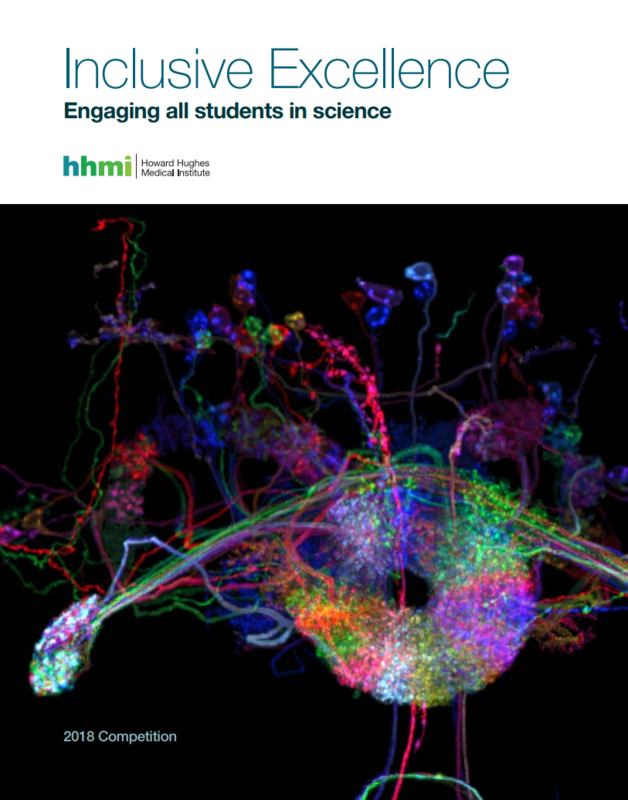 The group that wrote the HHMI IE proposal was an interdisciplinary team committed to improving undergraduate teaching by using student-centered approaches and enhancing inclusiveness and diversity in the Natural Sciences and on campus in general," she said. The team included Emily Borda (Chemistry; SMATE), Spencer Anthony-Cahill (Chemistry), Ed Geary (SMATE), Jessica Cohen (Math), Regina Barber DeGraaff (Physics, CSE), Bernie Housen (Geology), Shannon Warren (SMATE), Lina Dahlberg (Biology), Robin Kodner (Biology), David Leaf (Biology), Jose Serrano-Moreno (Biology), Dan Hanley (SMATE), Suzanne Lee (Biology), Dan Pollard (Biology), Jackie Rose (Psychology, Behavioral Neuroscience), and Joann Otto (Biology). For more information on the HHMI IE grant, contact Joann Otto at joann.otto@wwu.edu or go to http://www.hhmi.org/news/24-institutions-commit-diversity-and-inclusion-through-2017-hhmi-inclusive-excellence.